Sony PlayStation 4 is an extremely popular game console, with over 50 million sold since launch in 2013. The endless list of apps on the home screen was too difficult to navigate, the launch lineup was disappointing and the PlayStation 4 lacked external hard drive support. On Friday, Sony has started to push out PlayStation 4 software update version 4.50 (codename, Sasuke) to users on the beta program. The update brings new refinement to the PS 4 interface and has also added a much-requested feature like custom wallpapers and support for external HDD. 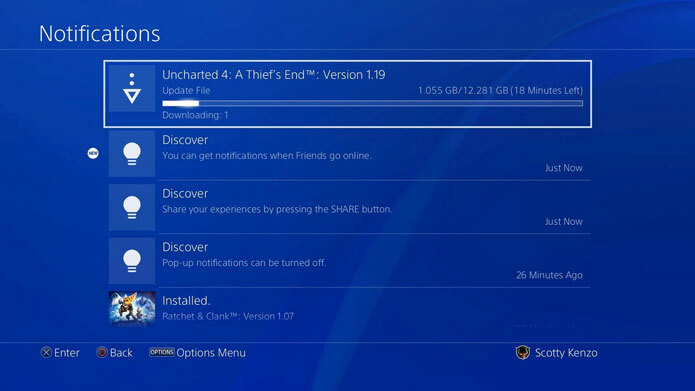 It will still be several weeks before the update is available to the public, but the PlayStation team was willing to highlight some of the most important improvements and additions on the PlayStation Blog — the most important of which has to be the option to store content on an external hard drive. According to the post, the PS 4 will be compatible with external HDDs up to 8TB in size. 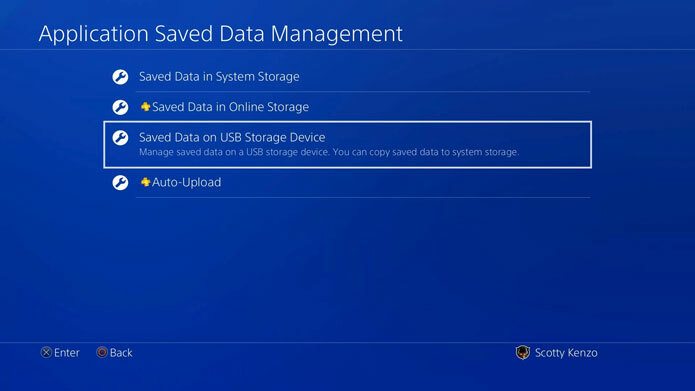 Content saved on an external HDD will be manageable through the settings menu and apps on the external HDD will appear on the home screen. The PlayStation 4 software update version 4.50 (codename, Sasuke) will also bring new improvements to the PlayStation 4 Quick Menu feature that was given a major revamp in the previous update. The new Quick Menu will be covering even less area on the gameplay screen, giving access to Party features – without being transitioned to a separate screen. Sony’s newly launched PlayStation 4 Pro console comes with an upgraded CPU, an improved GPU and greater bandwidth over the original PS4. Essentially, we are looking at higher (and more stable) frame rates, enhanced visual (graphical) fidelity, additional graphics features and not to forget, the ability to upscale 1080p content to 4K provided you have a 4K-ready monitor. A new update, that Sony is now rolling out for the platform, should help early PlayStation 4 Pro buyers get a little bit more out of the console. Sony launched the PlayStation 4 Pro gaming console and the PS VR headset bundle (with PlayStation 4 camera) in India only recently at a price of Rs 38,990 and Rs 41,990 respectively. While the PlayStation 4 Pro will be available for buying in mid-February, the PS VR bundle will be available in March. The bundle is available for pre-ordering at select stores now, the company announced. Sony has also announced another PS VR bundle without the camera for Rs 37,990 and it will be available for buying sometime later during the year.